Need a quick (and cheap) gift idea for neighbors, family members, or friends? Want to help those you love reflect on their testimonies of the Savior? If so this gift is for you! It is super cheap- everything (but the printables) are available at the Dollar Tree (my favorite store!). New Years Eve falls on a Monday night. 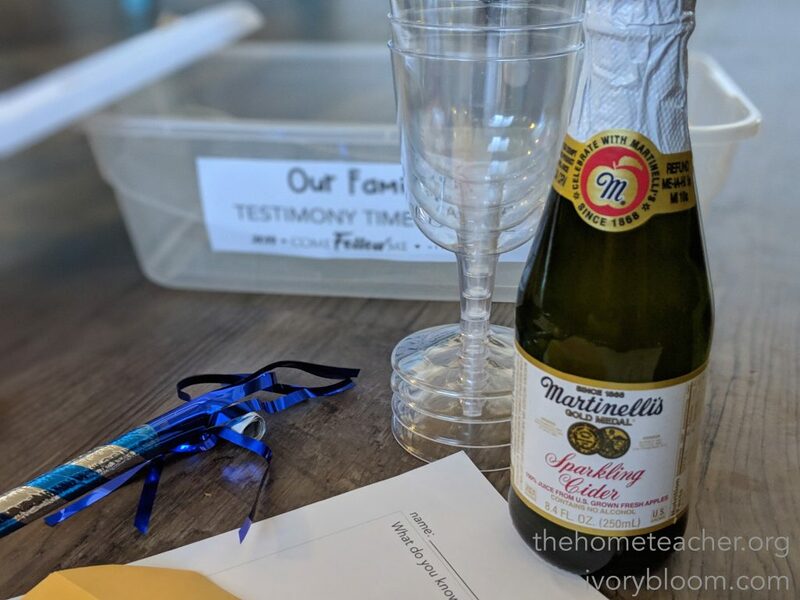 The Testimony Time Capsule book serves as a FHE kit! So you can give the gift of celebrating the New Years AND have a family home evening all prepped. LOVE!!! 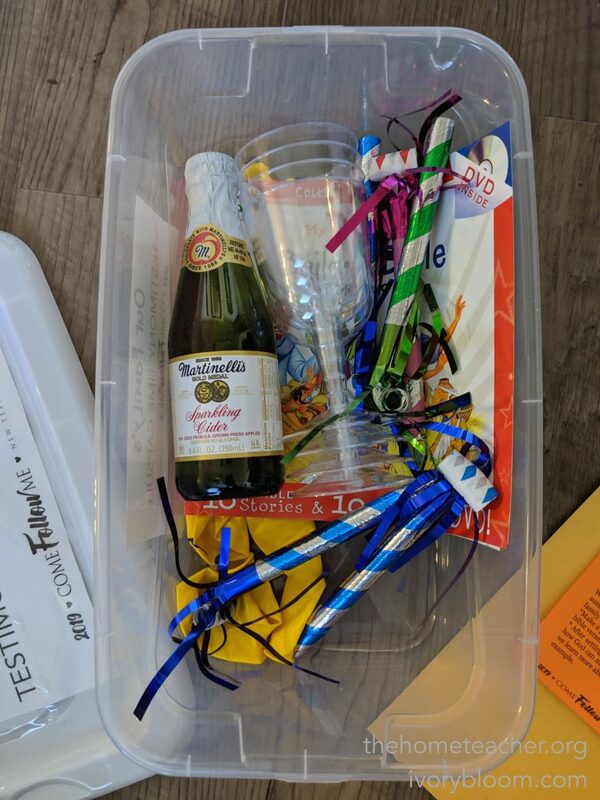 There is an idea list that you can pop into the box with some additional activities. 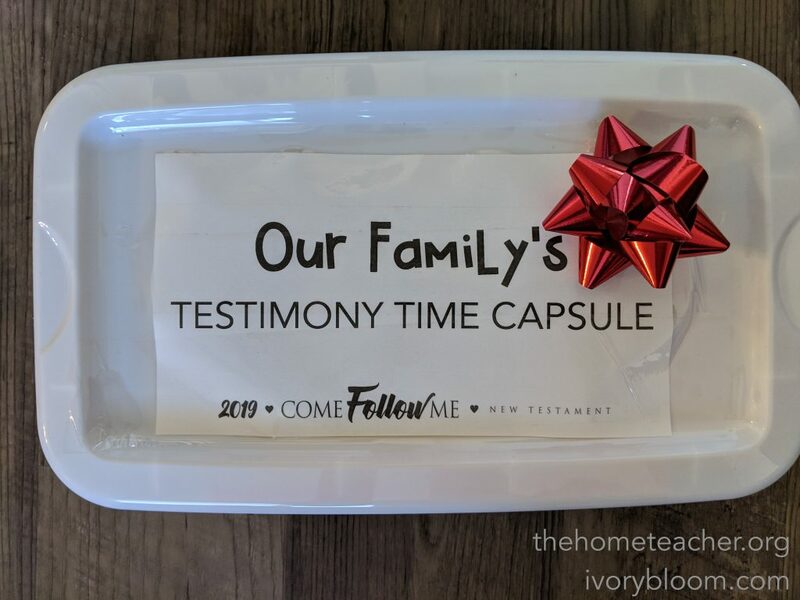 The purpose of the Testimony Time Capsule is simple. Have fun while reflecting on your testimonies. 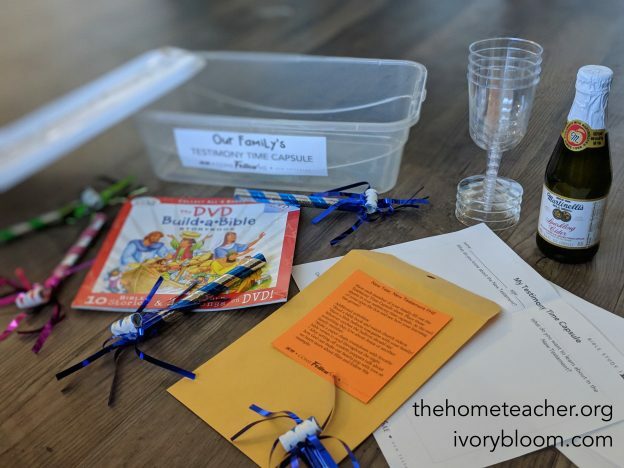 At the end of 2019 you can open up the time capsule and see how your learning has grown. 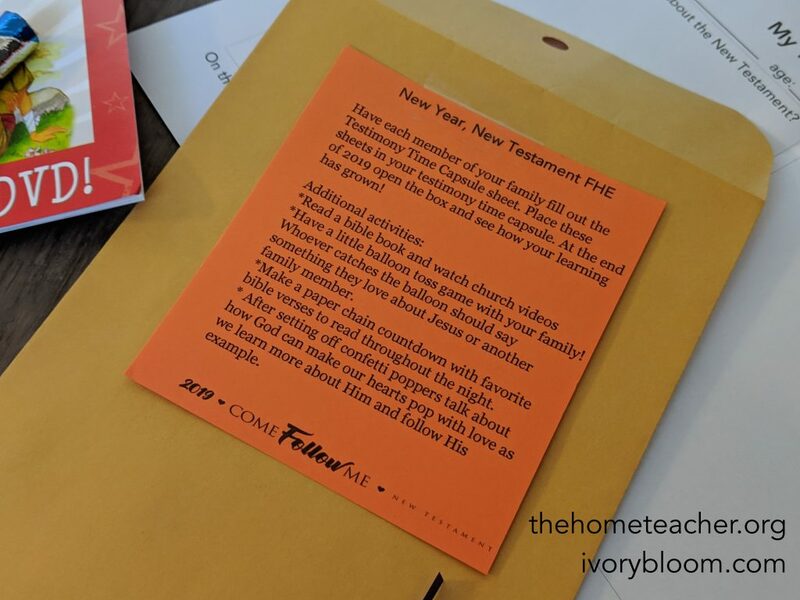 Check out our post on New Year, New Testament to print off the labels for the Testimony Time Capsule boxes. 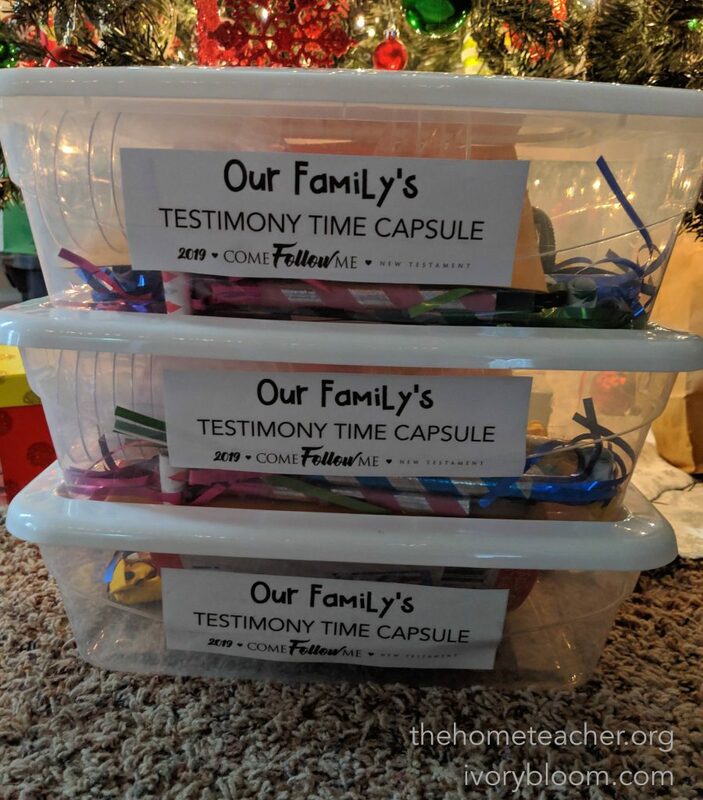 This entry was posted in church, come follow me, dollar store, faith & family, fhe, fun days, homemade gifts, lds, new years and tagged 2019, celebrations, come follow me, dollar store, dollar tree, family, fhe, fhe kit, new testament, new years, new years eve, testimony, testimony time capsule, time capsule on December 16, 2018 by ktoponce. Just a quick little post to show you how I organized my daughter’s “tooth stuff” so we were ready when she lost a tooth! 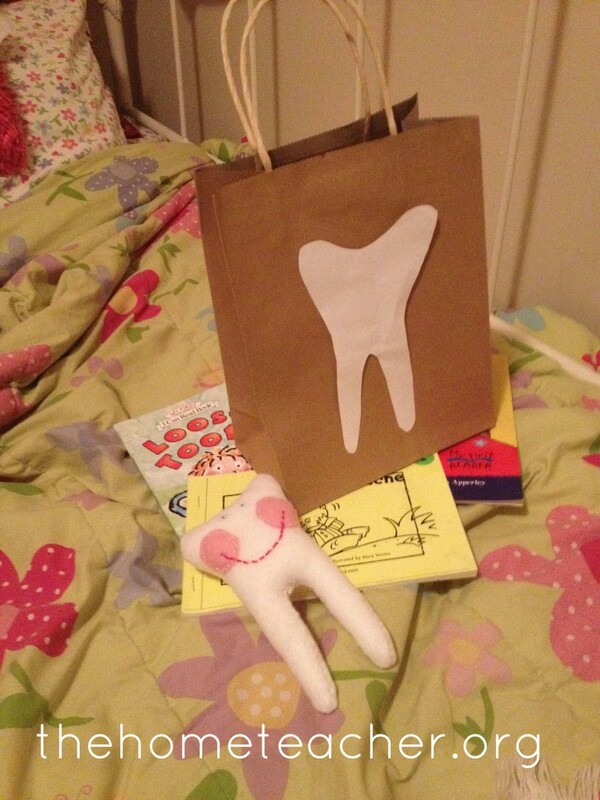 I found a nice brown gift bag from the dollar store and glued a large tooth on it. So fancy, right? Inside the bag I added some of our children’s books about teeth as well as the tooth pillow I made for Boo. I love that everything tooth-ish is all together so when my daughter lost a tooth we are ready to go! 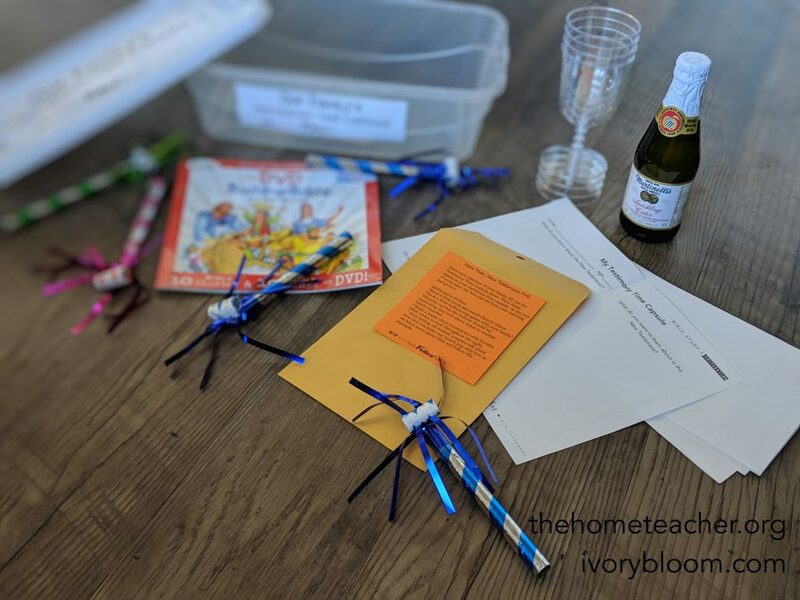 This entry was posted in celebrations, DIY, homemade gifts, Tooth Fairy and tagged books, fairy, tooth, tooth fairy on April 27, 2014 by ktoponce. Blow up a small balloon until its about the size of an egg. 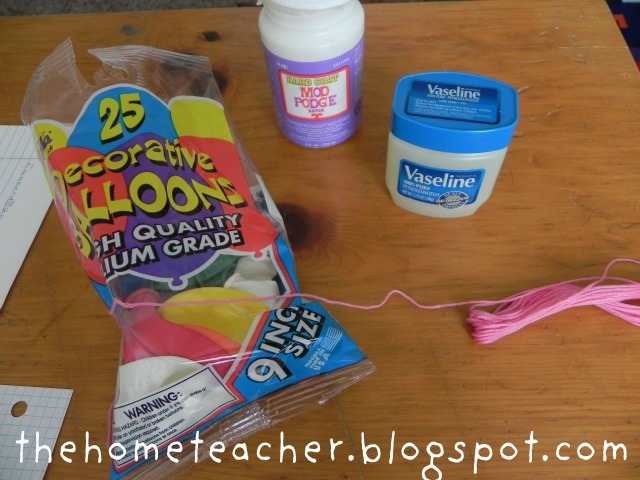 Then coat that balloon with Vaseline. 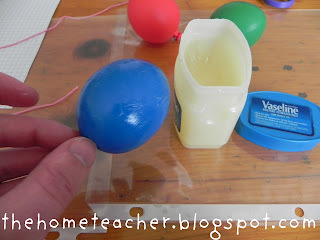 This prevents the Mod Podge from sticking directly to the balloon. 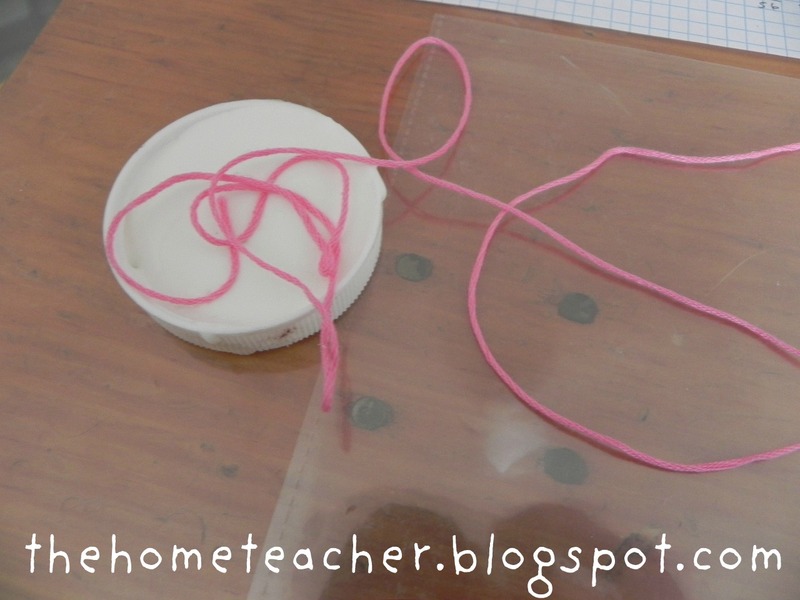 Cut the embroidery floss into several long strands. 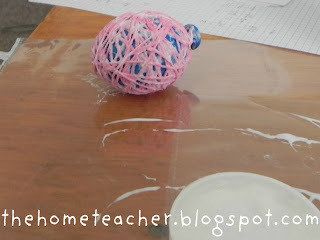 Do this before you begin gluing, since your hands will be super sticky. Then dip the floss into your Mod Podge and wrap it around your balloon. Helpful hint: I covered my table with old sheet protectors. They not only kept my table clean, but the Mod Podge didn’t stick to it. And then, of course, the clean up was fast! 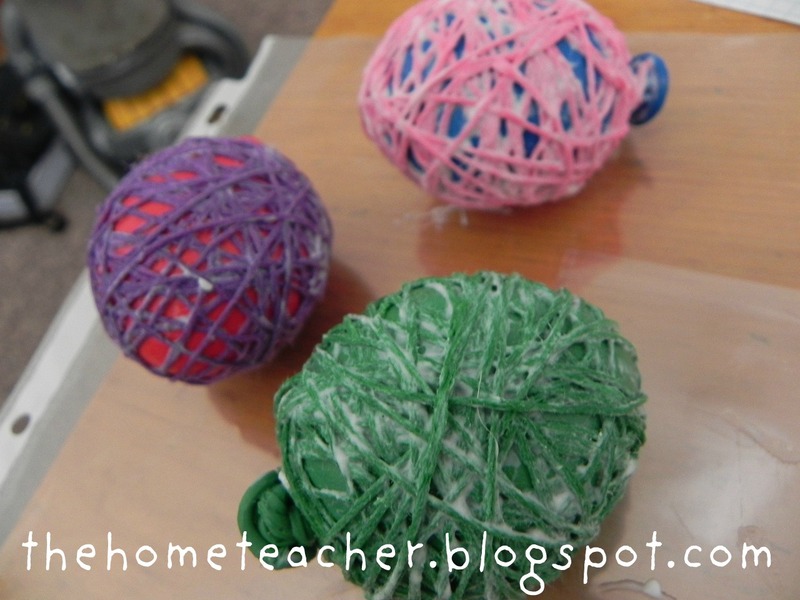 Hang balloons to dry. I just tied a simple knot at the ends of the balloons with white string and hung them in the bathroom on the shower curtain rod. After a day or so, take the balloons down. The balloons should be shrinking- but the embroidery floss should have kept its original shape. 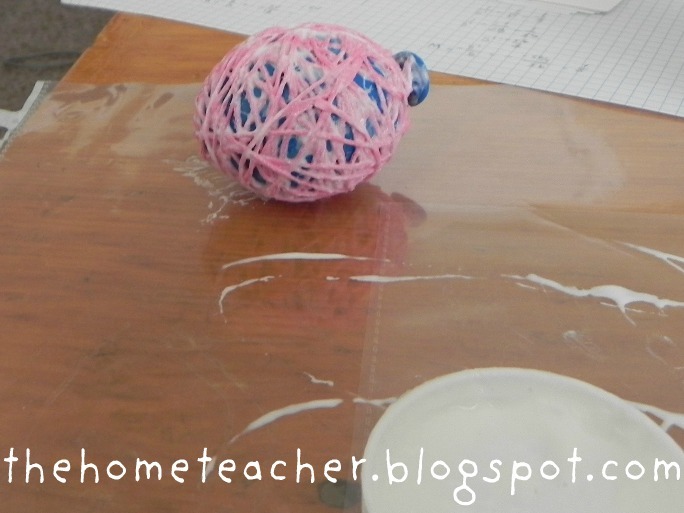 Pop the balloons and take them carefully out of the egg. And voila! You are finished! 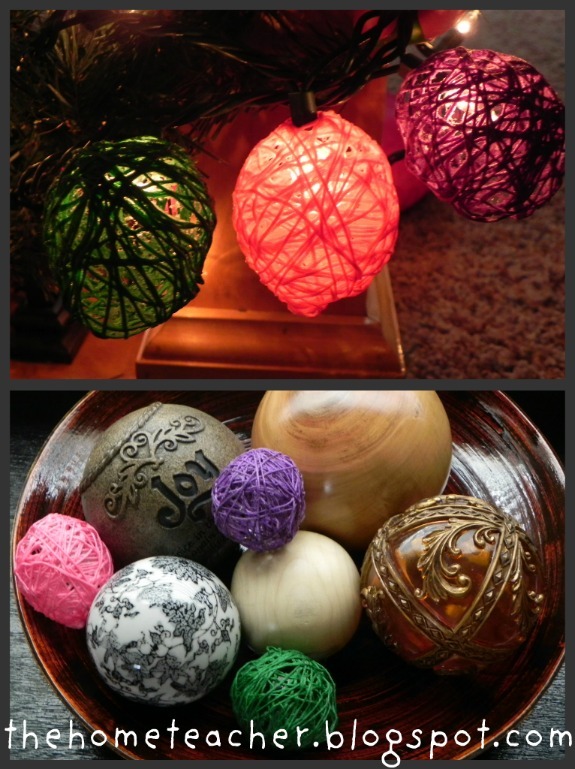 And not only would these be fun for Easter, but they make a great addition to Christmas lights (how fun to hang on the deck in the Summer!) and I love the color they add to my home decor! 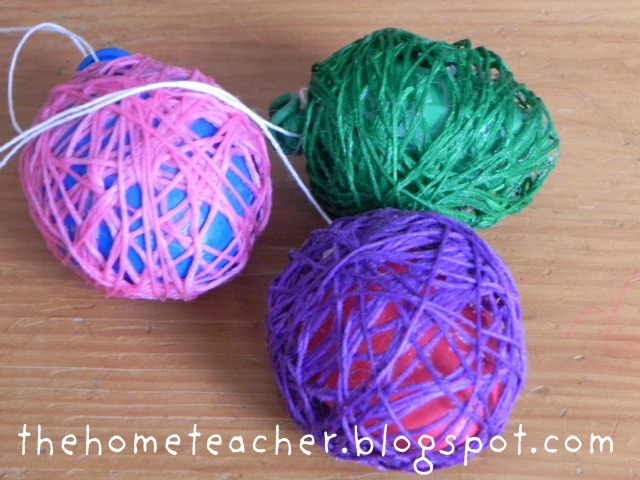 Have fun crafting with your kiddos- and as always, Happy Teaching! This entry was posted in art & music, celebrations, dollar store, Easter, homemade gifts, kid crafts on March 7, 2012 by ktoponce. 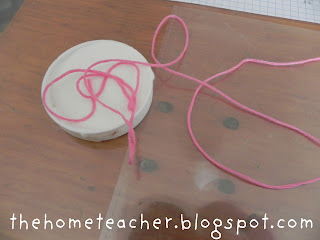 This entry was posted in DIY, fall, homemade gifts and tagged apothecary jars, nature on November 12, 2011 by ktoponce. 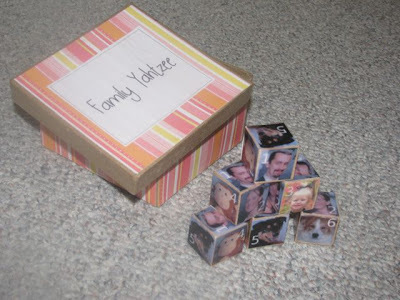 As I am starting to compile my list of homemade Christmas gifts to make this year, I thought I would share some of our favorite gifts we have made from the past. Just click on the name of each item to be redirected to the instructional post! Have fun! 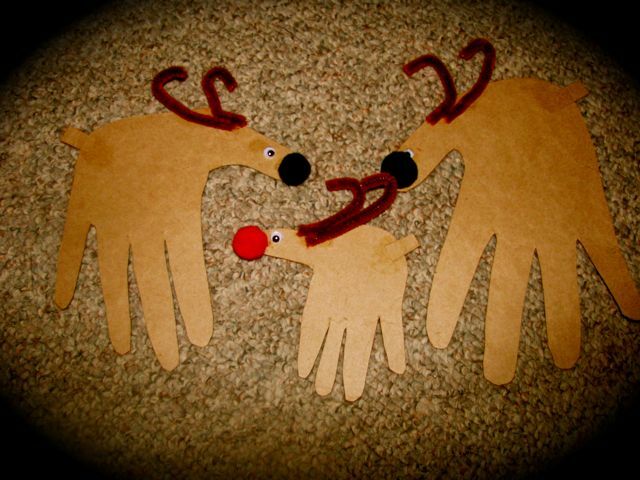 This entry was posted in celebrations, Christmas, DIY, homemade gifts on November 5, 2011 by ktoponce. Decorating for the holidays is quickly becoming one of my favorite things to do. I saw THIS idea from Uncommon on Pinterest (I seriously am obsessed with this site). Once I saw this project, I fell in love!! I made a quick run to Hobby Lobby to get the materials. I grabbed some jars and letters… but needed the candlestick bases and finials. My father in law was SO kind to make some for me. The initial plan was to paint all the wood black… but after seeing the beauty of the natural wood, I changed my mind. Aren’t they BEAUTIFUL!!! He did such an incredible job and I am so thankful for his help. I just love the way they look! 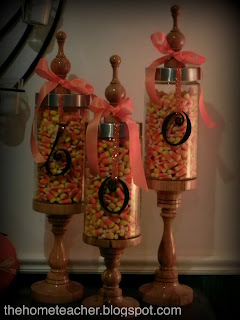 I painted the letters, filled the jars with candy corn, added the ribbon, and they were done! I found the cool orange glitter ribbon to hang the letters at Michaels… so sparkly! Although you might have seen these jars around the web, here are some additional creative tips for this project (thanks again to my father in law and his wife!!). 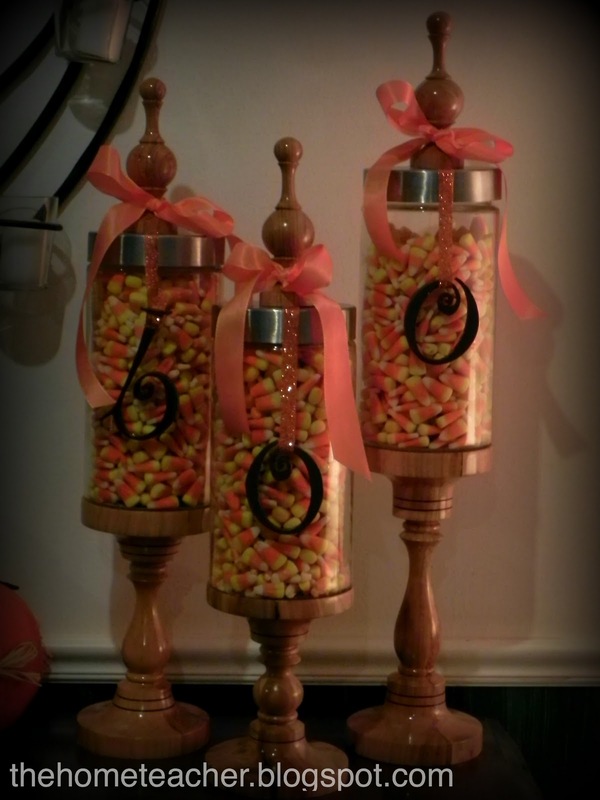 ~In order to use less candy corn, I put cans of tomato paste in the center of each jar. It’s our hidden stash of food storage :). 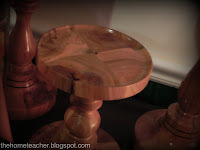 ~I didn’t want the jar to break and then have to somehow remove broken pieces of glass glued to the candlestick base. To solve this problem, the base has grooves designed specifically to keep the jar in place without the glue. So cool! ~My husband wanted the ability to remove the finial- in case we wanted to use the jars for another project. The finials have magnet inserts so it easily will stick to the magnetic top of the hobby lobby jar. 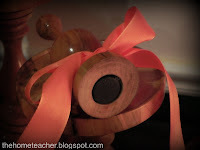 These magnetic finials have already come in handy when I attached the ribbon… I was able to place it right under the magnet! Love it! There are two things that I love the most, however- first is the incredible service provided by my father in law, and second is that I can use these jars for every season! Pinecones or nuts in the fall, ornaments in December, red heart candy in February, plastic easter eggs in the spring…the list goes on! I know this is completely unrelated to teaching- but I just had to share! 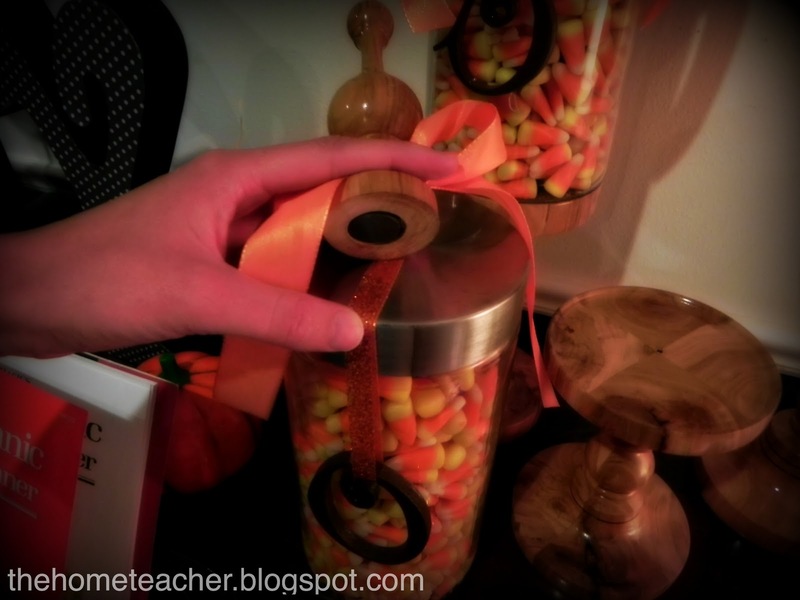 We have had a little lesson on cavities after nibbling away at the candy corn…. This entry was posted in DIY, Halloween, homemade gifts and tagged apothecary jars on October 20, 2011 by ktoponce. Part of my church responsibilities include working with a great group of 8-10 year old girls. 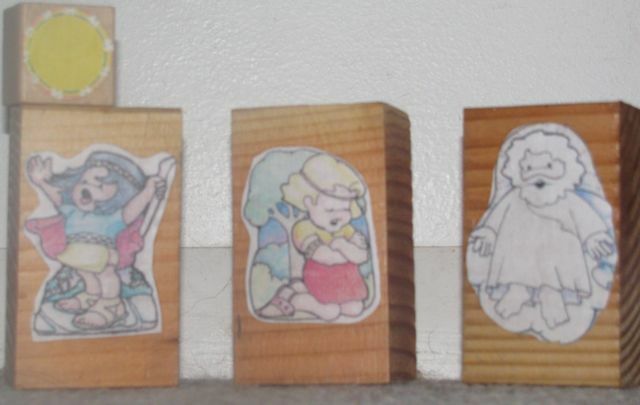 I thought it would be fun to teach them about the nativity, and originally was going to make a nativity ornament with them- when I thought it would be more fun (OK, easier and less messy) to make nativity dice with them! 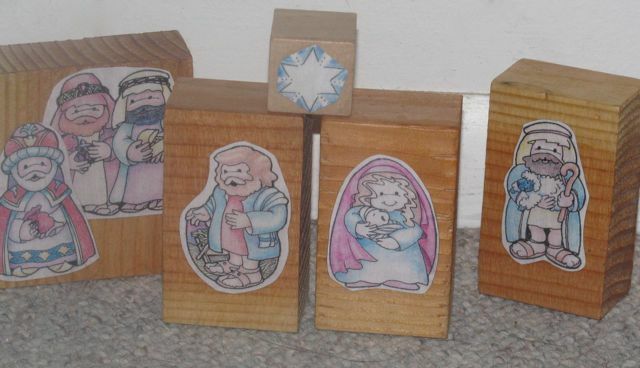 The objective of this activity is to teach about the different characters of the nativity. I wanted to see the girls dive into their scriptures to learn more about who these people were. I also wanted a project that my girls could take home and do with their families. So this activity seemed perfect! Trace one side of the foam cube on the cardstock. 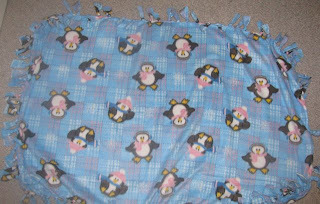 Cut out square and use this as a pattern to cut out 5 more squares. Hot glue cardstock on foam cube. 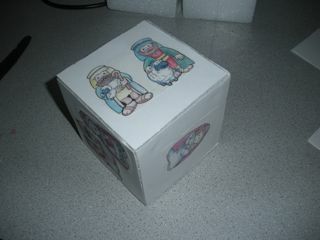 Cut out nativity characters and glue one on each side of the foam cube. That’s it! Unless you want to embellish. I kept mine simple. Name the character and describe the role they play in the nativity. Research this person in the bible. Share any connections you may have with this person. Share any questions you may have for this person. This is the perfect addition to our family’s nativity kit ! 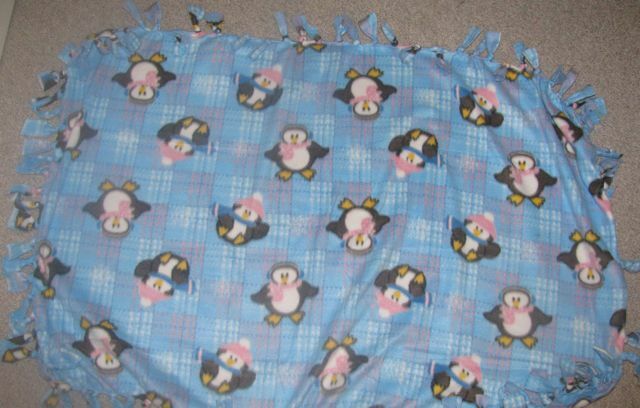 This entry was posted in Christmas, faith & family, homemade gifts and tagged activity days, christmas, nativity on December 5, 2010 by ktoponce. 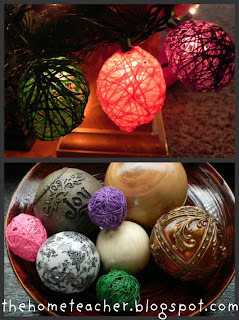 We are finished with our ornament gifts and I thought I would share a picture of our final work. We didn’t have sequins so I just hole punched different colored paper and that seemed to work just fine! My daughter was a trooper and helped me glue the ornaments on about half the trees (why did I think we needed to make 6????) 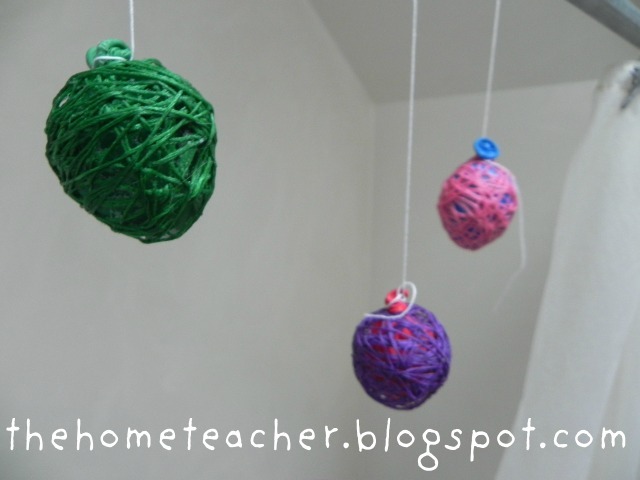 I also glued yarn on the back so they can be hung on the tree. We played a Santa dice game today that I read about here. Basically, you roll the dice and put that number of small candies (like M&Ms) on a cute Santa printout (check here if you want to download it!) It didn’t go as planned- my daughter just wanted to eat the treats. It is a really cute game and I think my Boo is just not quite ready for an activity like this. I did find a cute little Santa Claus & reindeer that I just COULDN’T stop myself from buying- and my daughter had fun w/ the Santa visiting her little people (and snacking on one to many M&Ms from aforementioned dice game). 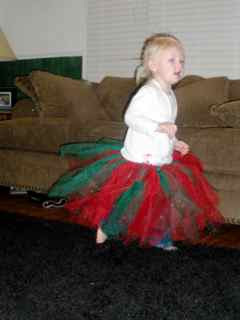 Gotta run- hear my baby girl crying! Happy Holidays!!! This entry was posted in celebrations, homemade gifts on December 5, 2009 by ktoponce. I am quickly becoming addicted to Modge Podge! I found this ADORABLE tutorial at Thrifty Chick on making your own, personalized version of the very popular Yahtzee game! My version is not even HALF as cute as Stacey’s- but I had fun making it, and I am hoping that people have fun playing it! This entry was posted in celebrations, homemade gifts on November 29, 2009 by ktoponce.